From start to finish, the Climax never stops and Medicom has just teased the release of Den-O Climax Form for their RAH series. 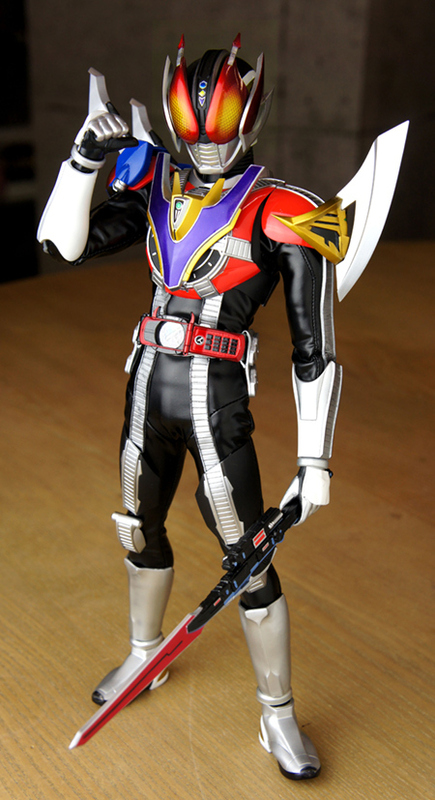 RAH Den-O Climax Form will be offered as a Medicom Premium Club online exclusive pre orders will begin July 24, 2014 and the figure will ship in May 2015 the figure itself retails for a whopping 23,760 yen. Oh wow, I don't collect RAH figures because of the price, but that looks really nice. 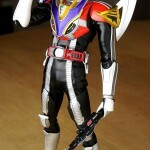 he looks so awesome...if I didn't already own Deno Sword Form I would be so tempted to get him. At least he doesn't have the chicken arms Sword Form has...then again I got sword form for cheap at around $60 so I guess I get what I paid for.